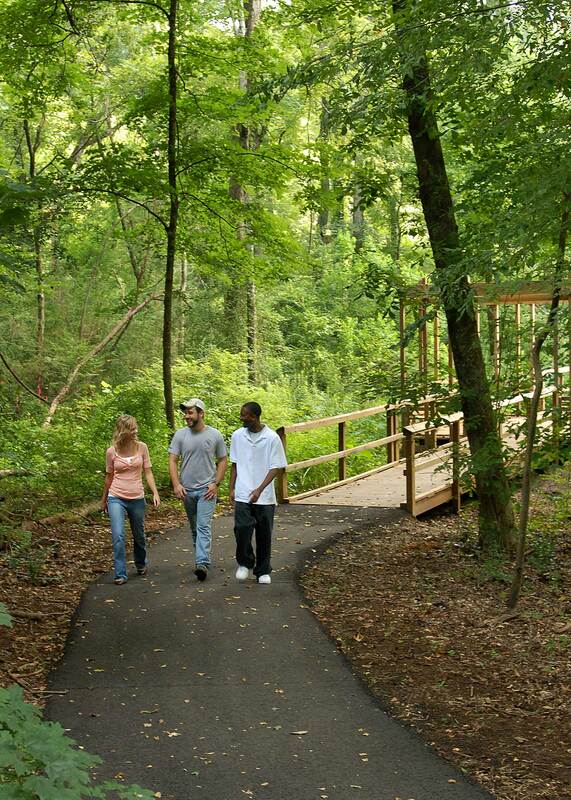 Nacogdoches has a great network of local trails for walkers, runners, cyclists and hikers to enjoy. A walk along the trails of Nacogdoches, accessible from several sites, can transport a hiker from a city environment to near wilderness conditions. Restrooms and water fountains are located in some areas. You'll find points of interest, a brief history and a Trails of Nacogdoches map below to help plan your trek accordingly.